The Nioxin manufacturer lists no severe, lasting side effects from the Nioxin system of nonprescription hair products. Consumers, however, report side effects to the scalp and hair after using these products. It is difficult to verify these consumer claims scientifically because there are no medical studies or reports of adverse reactions to the Food and Drug Administration (FDA) by which to do so. However, there are ingredients in the products that could explain their potential to cause side effects. These symptoms could be related to dryness of the scalp or from an allergic reaction to one or more of the ingredients in the products. Most symptoms seem to be mild and temporary, though some are reported by consumers to be more severe and persistent. There is science behind noticeable hair loss at the beginning of the use any new hair product designed to stop hair thinning or loss. Old, thin, vulnerable hairs are fragile and are likely to fall out of the resting hair follicle. This is especially true if you massage your scalp vigorously with the products. If you experience hair loss that exceeds two weeks when starting a new product, stop using the product and see your doctor. There are several specific causes of hair loss which your doctor can evaluate and treat you for. It is useful to compare direct consumer complaints to the company's report of side effects. In the United States every chemical product is required to have a Material Safety Data Sheet (MSDS) that lists potential hazards from use or contact. You will also find the ingredients for each product listed in the MSDS sheets. The Wella Corporation produces the Nioxin products. The company's MSDS sheet for the Nioxin cleansers lists only mild, transient eye and skin irritation with redness and stinging in the eyes. Their MSDS sheets for the scalp treatments and follicle boosters state similar Nioxin side effects. It might not be possible to tell which specific ingredient is responsible if you have a side effect from using Nioxin. It is likely that combining so many of these ingredients in the products has a greater chance of causing unwanted side effects than exposure to a single ingredient. Niacin: A B vitamin is known to cause skin flushing when taken by mouth. When applied directly to the skin it is likely to cause a similar reaction. It causes dilation of blood vessels causing more blood circulation to the skin. Propylene Glycol: a solvent used in many health and beauty products and is said to be a moisturizer. 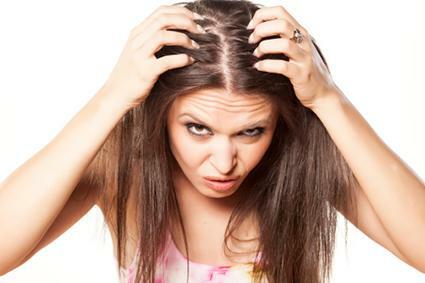 It can cause scalp irritation leading to flaking. Salicylic acid: can be drying to skin, scalp and hair because it is an acid. This could lead to scalp redness, irritation and flaking. Repeated use could strip the hair shaft and make the hair porous and brittle. Additionally, Menthol, Peppermint oil, Nettle, Citrus extract, yeast extract and other botanical extracts can increase blood flow to the scalp and could result in redness, itching and flaking. Many other brands of hair products have the same or similar ingredients. If you are sensitive to these ingredients or have experienced any side effects to other products that includes them, you are more likely to have them with Nioxin. Each of the eight Nioxin hair care systems is marketed for a specific hair problem. Each combines a three-step program to help prevent hair thinning and stop hair loss. Shampoo: cleanses the scalp of sebum in scalp conditions such as seborrheic dermatitis and dandruff to allow nutrients and other ingredients to reach and nourish the hair follicle. Scalp treatment: contains conditioners that moisturize scalp and hair and is said to remove from the scalp the male hormone, dihydrotestosterone (DHT), which causes hair thinning. Follicle booster: said to fortify the hair follicle and hair shaft with vitamins and nutrients. There is no scientific proof of any of these claims however. Some consumers give positive reviews for hair growth from use of the products. Nioxin will not cure hair loss, especially genetic causes, but can clear up the scalp and possibly encourage healthier follicles and healthier hair growth. Though reported side effects to Nioxin cannot be backed up by medical evidence, consumer self-reports make us aware that individual reactions are possible. Everyone reacts to chemicals differently. The key is, if Nioxin is the only new product you are using and you have a new reaction, then the new product is the likely cause. Stop using Nioxin and consult your doctor if you experience scalp side effects lasting for more than a few hours. Remember that a new product may not cause any side effects initially, but problems may develop as your skin gets sensitized from repeated use. If your symptoms are severe, or extend to your face, neck or other areas of your body, which suggest a systemic allergic reaction, don't hesitate to check with your doctor before your symptoms worsen.